Ground floor large master bedroom with ensuite bath/shower room. Luxuriously furnished with a queen size double bed, linen from the White Company, a two seater sofa and chair as well as bedroom furniture. French doors to the garden and grand picture windows fitted with both blinds and heavy curtains. 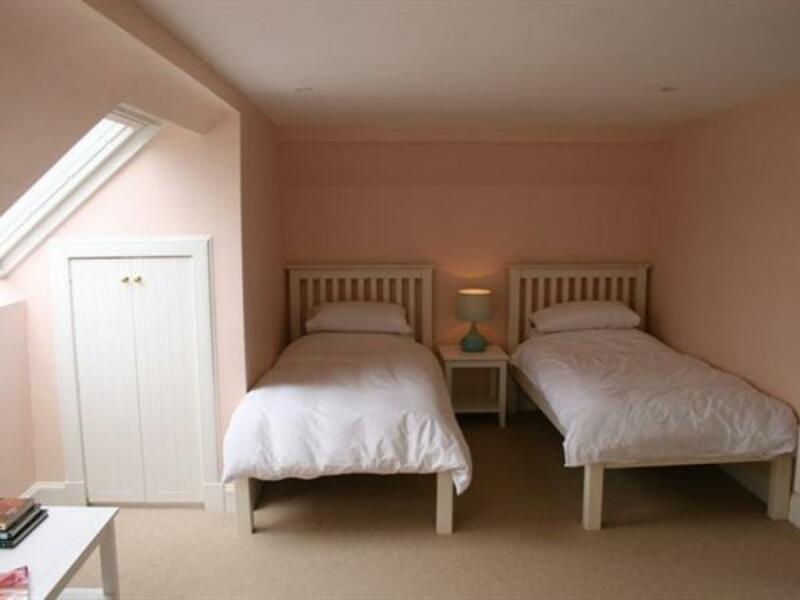 The second bedroom on the first floor has twin single beds and fitted wardrobes. 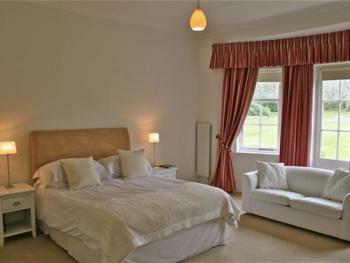 The adjoining sitting room has two large comfy armchairs and a state of the art television system. The shower room is beautifully equipped and is directly across the hallway. Opening roof lights give panoramic views of the garden and surrounding countryside. There are plenty of fluffy bath towels etc and a change of bed linen if required stocked in the house.